Your card is adorable Karren, this digital image is the cutest and I love how you coloured her. This little gal is amazing, Karren! You have colored her beautifully and placed her just perfectly on this card! What a delight! Have a great week! Such a sweet, sweet image! You have colored her perfectly! Love it! Oh my goodness, this is such a beautiful card! I love that adorable image with those holly wings!! So cute! what a cutey she is and what an awesome job you did . Beautifiul card. I love your card layout Karren, it compliments this gorgeous digi image perfectly. Love the vibrant colours too. This is adorable! Fab coloring and I love those shiny sequins! Your digi image is so cute with the "holly" wings. Great coloring by the way! Love your interpretation of the challenge, Karren! 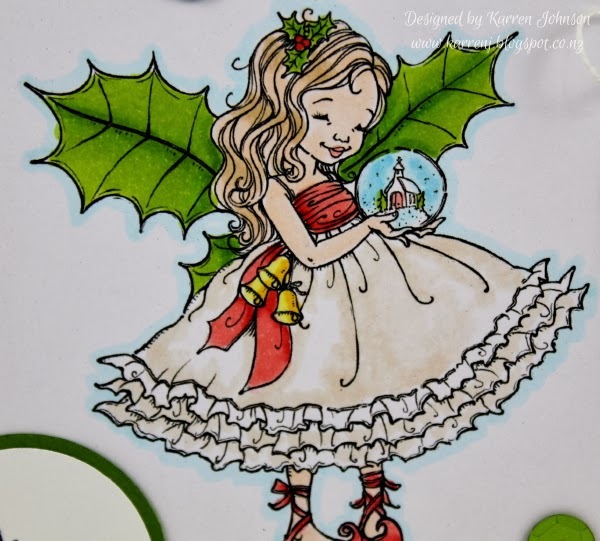 I love this image Karren, beautiful colouring, lovely Christmas card. Oooh, she is a sweetie! Can never go wrong with Mo's images, they're the best! Love her! What a gorgeous card so crisp and clean and elegant. Your coloring just rocks! I love that your image has holly in it instead of having it die cut like a lot of us. Very nicely done! So Pretty!!! You colored her so Beautifully...Love this! This is image is just adorable...colored so nicely! 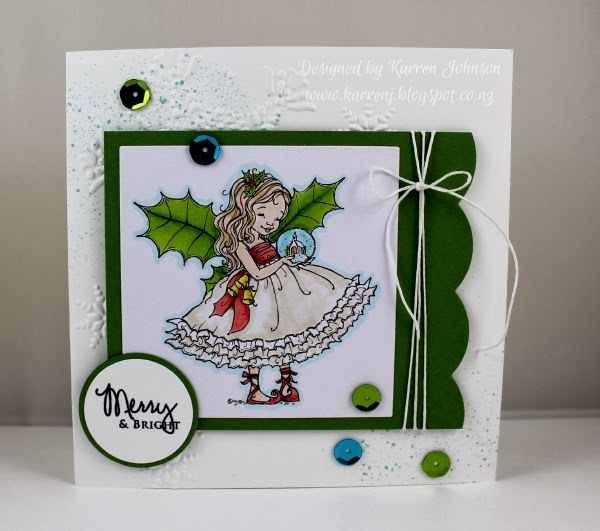 Beautiful card, Karren! 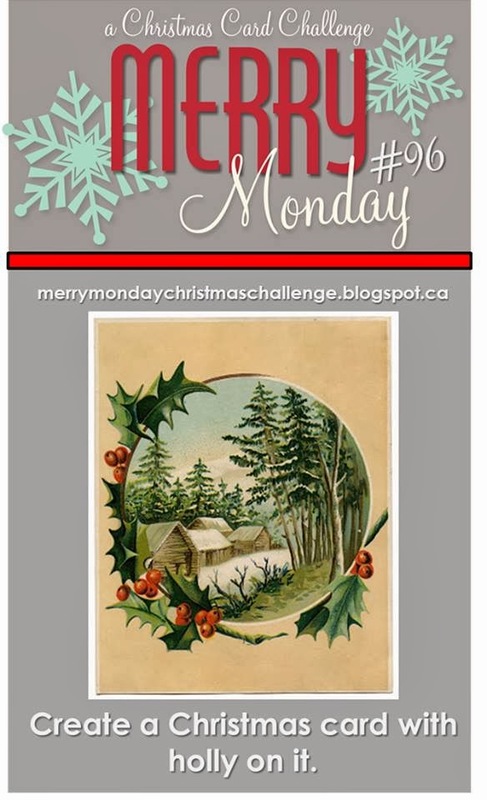 The image you used is just adorable and couldn't be more perfect for the challenge! Wonderful job of adding color to it also!